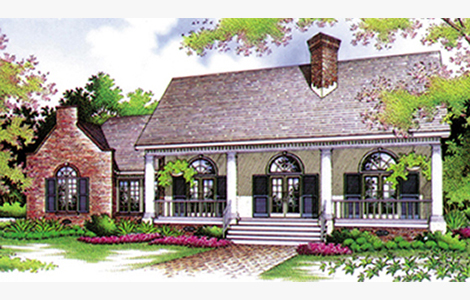 Most home plans are oriented for either a front or rear view, but this southern beauty was designed to take advantage of both front and rear views. All of the main living spaces have expansive glass oriented to the front and rear of the home and large covered porches make it possible to sit and soak in such views. 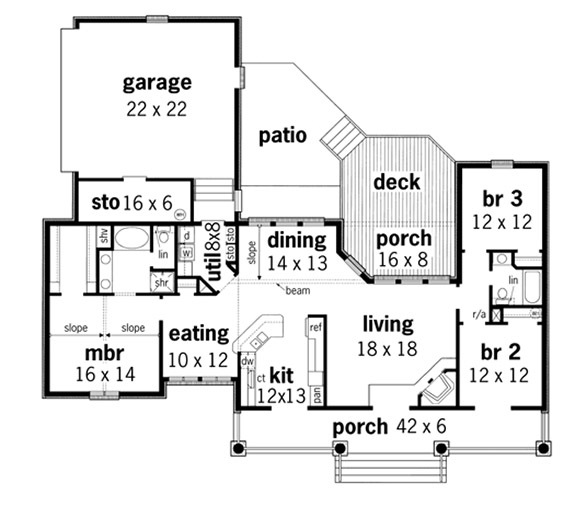 This home is also a real step saver for its owners because all of the adult areas (Master suite, Kitchen, dining and utility) are compactly designed on one end of the home.